The character remains alive in the fictional "Fast" universe and is mentioned twice in 2017's "The Fate of the Furious." Caleb Walker and Cody Walker attend the Paramount Network World Premiere of "I Am Paul Walker" at The London West Hollywood on August 7, 2018 in West Hollywood, California. Nearly five years after Paul Walker's death, his brothers say they're open to playing his character again in the "Fast and Furious" franchise. Producers asked Caleb and Cody Walker to fill in for their brother and help complete "Furious 7" after he died in a fiery off-set car crash in November 2013. His face was digitally superimposed onto his brothers' performances for scenes that Walker had not yet shot and in a modified ending in which his character Brian O'Conner drives off into the sunset. "I just hope we get to — I don't know — have a little cameo and bring Paul back to save the day and I get to help create that again," Caleb Walker, 40, said in an interview last week. "That's my dream and I hope we get to do that in one of the future movies." "I think there could potentially be a way to do it. But it would take a lot of thought and it'd have to be tasteful. It would have to be tasteful," Cody Walker, 30, said in the interview. "He was the real deal, the real car guy. And in his absence, I — you know — I think it's lost its way in a big way." 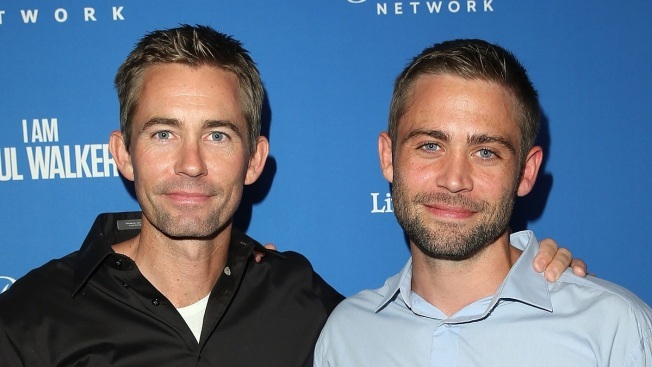 Caleb and Cody Walker were promoting "I Am Paul Walker," a new one-hour documentary about the actor's childhood, family and career directed by Adrian Buitenhuis. It premiered last weekend on the Paramount Network. Both Walker brothers became fathers for the first time last year and live in Southern California. They haven't re-watched the full "Furious 7" film since attending the premiere in April 2015. "It's kind of creepy sometimes when you're like, 'Oh, that's me.' It doesn't feel right," Caleb Walker said. "I think one day, when our kids are little older and we are able to share that experience with them and be like, 'Hey look, this is your uncle Paul. He was the greatest guy in the world and here we are being able to portray him and finish up this movie for him.' That's when I think it will really hit that I think it was really worth it and special and all that. But in the meantime, it's still a little conflicted." Walker was 40 years old when the Porsche Carrera GT he was riding in spun out of control, struck three trees and burst into flames on a street in Santa Clarita, California. The next scheduled film in the "Fast" franchise is a spin-off featuring Dwayne Johnson and Jason Statham. It's set for release next year.